A Real Estate rebound in sales is reportedly being experienced in August by most major companies in Bay County. Bay County real estate sales have fallen in the first six months of 2006, following a nationwide trend of "hot" states like Florida. However, a rebound in sales is reportedly being experienced in August by most major companies in Bay County as in other areas that lagged recently. For example, one leading Realtor reported signing five purchase agreements during a recent weekend. Several companies reported similar activity, perhaps spurred by low prices which have fallen during the sales declines of recent months. The Bay County Realtor Association reports 132 sales in June compared to 159 sales in June, 2005, or 17 percent off. 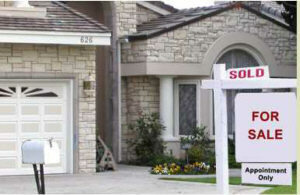 Sales volume in June of $13,158,949 compared with $17,559,872 in June, 2005, a 25 percent drop. The Associated Press asserted the end of a five year real estate boom was marked when sales of new homes nationally dropped in July by the largest amount since February while the number of unsold homes hit record levels. Florida, Arizona and several other traditionally "hot" real estate areas were reportedly off 25 percent or more. The U.S. Commerce Department stated that new home sales dropped 4.3 percent last month to annual sales pace of 1.072 million units. However, the decline hardly compared to an 11.5 percent plunge experienced last February. Forecasters said the July sales total of 1.072 million units was down 21.6 percent from a year earlier and below the the expected 1.100 million sales. Bay County year-to-date sales of 665 were some 12 percent less than the 759 recorded at the same time a year ago. Despite a fall in total volume of sales in Bay County, the average home sales price year-to-date rose slightly from $103,000 in 29005 to $105,770 this year. Bay County was listed by the National Association of Home Builders as the sixth most affordable housing markets in the country, according to Bill Branigan, Realtor of Hollister Realtors, Bay City. Branigan sends out a popular monthly newsletter to his customers and prospective customers entitled "Your Monthly Bill.